At Sunday’s SAG Awards, Game of Thrones actress Maisie Williams looked the epitome of Hollywood glamour. We’re used to seeing Williams muddied and tomboyish as her Game of Thrones character Arya Stark. So when real-life Williams goes full glam, she turns some serious heads. 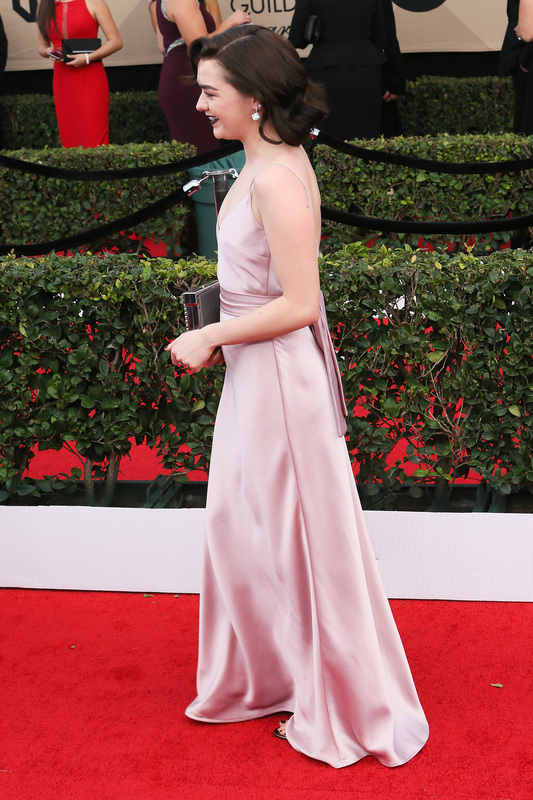 But, funnily enough, at the SAG Awards, Williams surprised us with a shoe change that is honestly right out of Arya’s playbook. – for a classic pair of comfy Converse sneaks. We think this decision would be Arya approved. You never know when you may have to be quick on your feet to defend yourself against bandits or run away from a countless number of enemies, right? The tabloids are right! Stars are just like us! Never feel bad again for having to switch those heels for sneakers halfway through your formal event. If Maisie Williams can get away with it, then we can too!